A sweet baby doll with a carry cot and milk bottle. 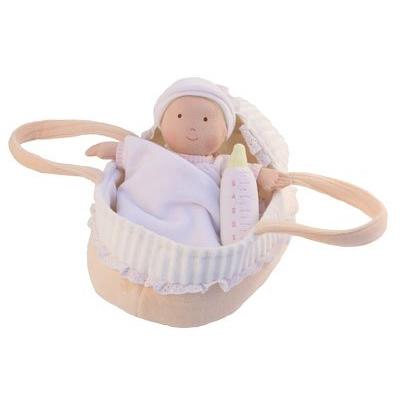 Your little one will love pretending to be mum or dad looking after this cute little baby doll. 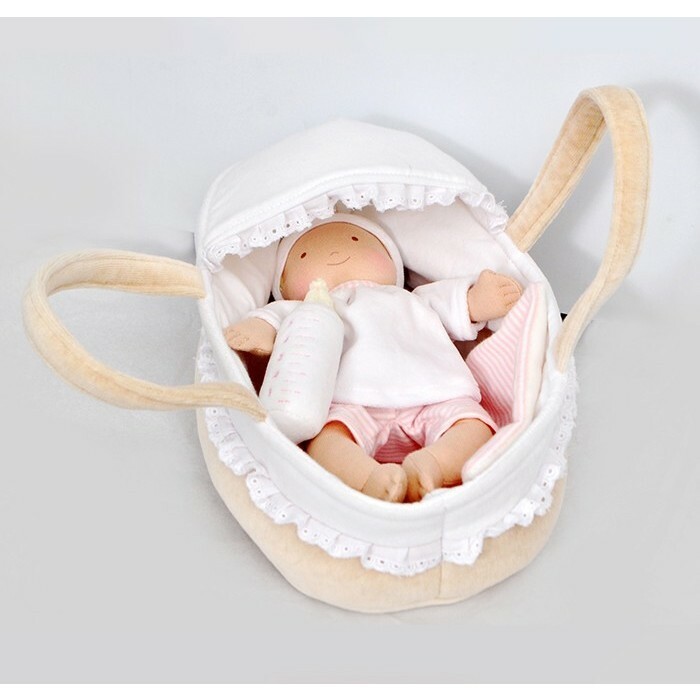 Yuo can carry the doll around in the cot with the carry handles and make sure it's wrapped up warm in the blanket. Children can also pretend that one of their dolls is looking after the baby too. Fun pretend play with Imajo fair trade dolls. 28x17cm. Made from polyester and cotton, with recycled polyester filling and suitable from birth.